fizzy is a revolutionary web & mobile insurance cover for flight delays of 2 hours or more. We offer you a one-shot coverage tailored to your own flight route, with automatic compensation in case of a delay. And no exclusion. With fizzy, you combine the benefits of a startup and the insurance knowledge of a global insurer. fizzy uses Ethereum Smart Contracts in order to guarantee the transparency and immutability of your insurance policy. When you suscribe to an insurance policy, the details are registered in fizzy’s Smart Contract. Upon the plane landing, the actual landing time is also loaded in the Smart Contract, which compares it with the scheduled landing time and triggers a compensation if you are 2h late or more! fizzy doesn’t need your trust: every piece of information and all mechanisms are accessible in the blockchain. Even if this information is today mainly readable for crypto-developers, multiple tools are being built in order to broaden the access. 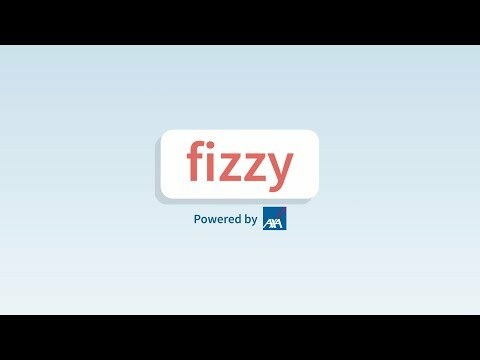 Last but not least, fizzy doesn’t register any of your personal data into the Ethereum blockchain!